Guangdong Bunge Building Material Industrial Co.,Ltd's glass partitions has superior performances in the following details.With a focus on product quality, Guangdong Bunge Building Material Industrial Co.,Ltd firmly believes that details create quality products. We insist on controlling the quality from details. We strictly monitor all aspects of the production and screen out unqualified inferior products. All this guarantees movable walls are formaldehyde-free, pollution-free, safe, eco-friendly and durable.Well-chosen in material, fine in workmanship, excellent in quality and favorable in price, Guangdong Bunge Building Material Industrial Co.,Ltd's glass partitions is highly competitive in the domestic and foreign markets. folding partition, manufactured based on high-quality materials and advanced technology, has reasonable structure, excellent performance, stable quality, and long-lasting durability. It is a reliable product which is widely recognized in the market.With a focus on product quality, Guangdong Bunge Building Material Industrial Co.,Ltd firmly believes that details create quality products. We insist on controlling the quality from details. We strictly monitor all aspects of the production and screen out unqualified inferior products. All this guarantees movable walls are formaldehyde-free, pollution-free, safe, eco-friendly and durable.Supported by advanced technology, Guangdong Bunge Building Material Industrial Co.,Ltd has a great breakthrough in the comprehensive competitiveness of folding partition, as shown in the following aspects. 65 mm sliding partitions ONLY FOR $85. 85 mm sliding partitions ONLY FOR $98. 100 mm sliding partitions ONLY FOR $118. 125 ultra-high system sliding partitions ONLY FOR $130. ◆ Wide range of sliding partitions walls surface finishes and colors. ◆ The sliding partition walls stacking can be one or both ends. Tracks: Made of good quality anodized aluminium 6063-T5 materials,hanging the sliding partition walls cost panels with wheels. Wheels/Rollers: It is the carrier for the sliding partitions ,let panels move more flexibly.Pulley bearing is more than 1600 KGS. As you know, when we do not use the sliding partition walls, we can park them to the parking area. Actually there are many parking styles for the sliding partitions, all of the clients can choose the suitable one and we can adjust based on their own project site. If you need some pocket doors to hide the panels, BUNGE Factory also can produce for you. 5.To be general, BUNGE Factory has 10+ years experience in the line of sliding partitions. The sliding partition walls we produced can divide the space speedy and conveniently. Due to their flexibility and cost effectiveness, now more and more clients need them to divide a large room. 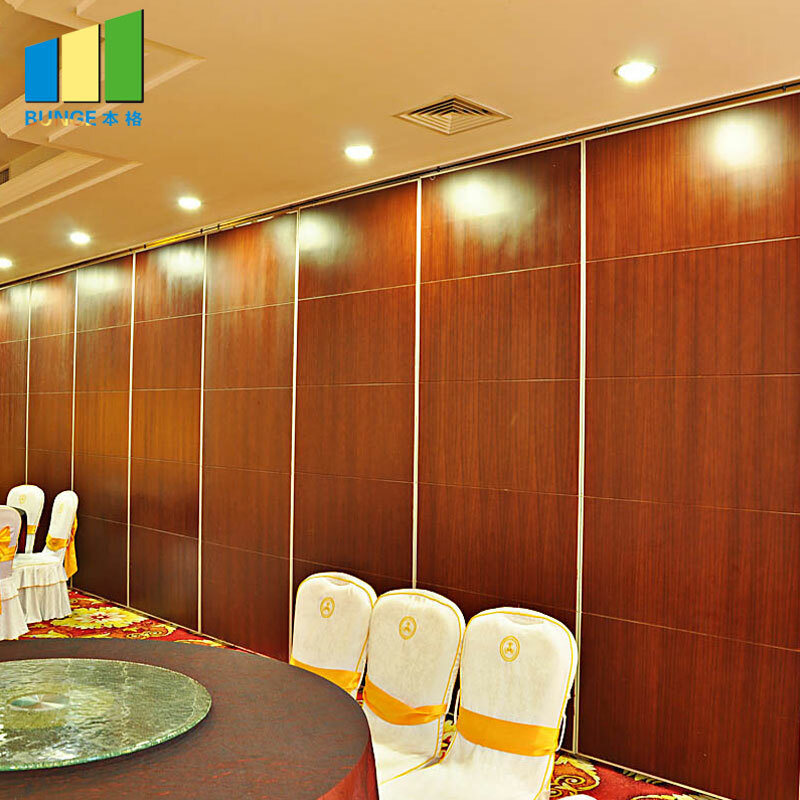 Also the sliding partition walls are widely used in office buildings, meeting room, hotel, banquet hall, conference and function halls, church, classroom and so on. Would you like to get a free design? Welcome to contact us at any time. 1. Guangdong Bunge Building Material Industrial Co.,Ltd is the industry leader in the design, manufacture, marketing and support of advanced solutions for sliding room dividers and related technologies. 2. Guangdong Bunge Building Material Industrial Co.,Ltd has all kinds of precision equipment and complete testing equipment needed for production. 3. 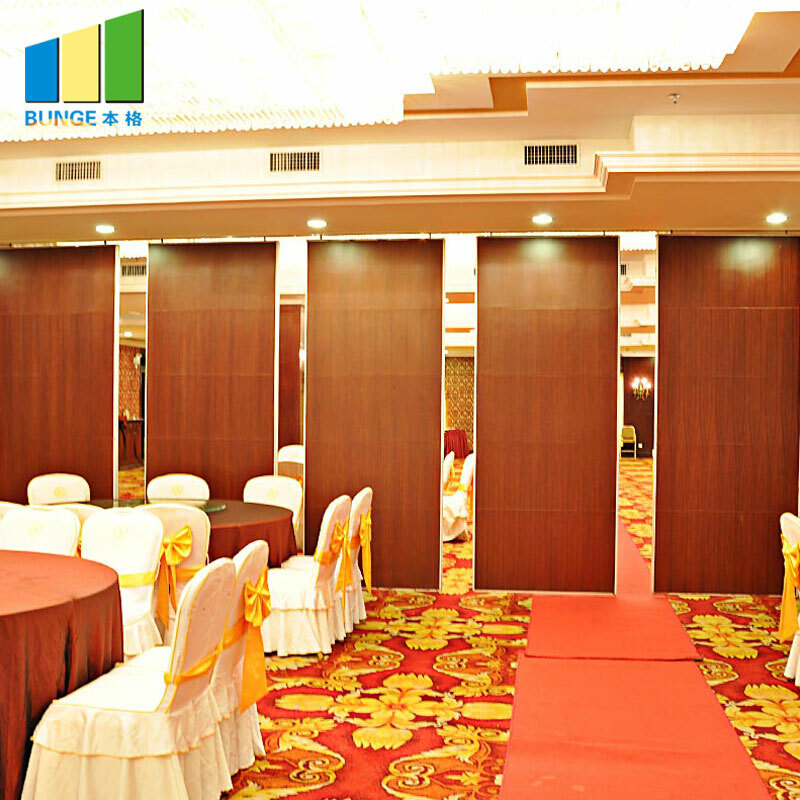 To provide the best room divider wall and serve well is the mission for Bunge to accomplish. Ask!